Adam Turteltaub (adam.turteltaub@corporatecompliance. org) is Vice President Membership Development for SCCE and HCCA. He interviewed Donna Boehme, Joe Murphy, and Rebecca Walker in March of 2015 regarding the SCCE’s upcoming Compliance & Ethics Institute. Rebecca Walker (rwalker@kaplanwalker.com) is Partner at Kaplan & Walker LLP in Santa Monica, CA. 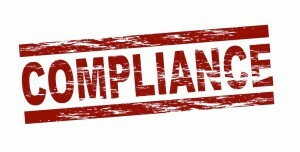 Joe Murphy (jemurphy5730@ gmail.com) is Senior Advisor at Compliance Strategists in Haddonfield, NJ. Donna Boehme (dboehme@ compliancestrategists.com) is Principal at Compliance Strategists LLC in New Providence, NJ. Adam: The Compliance Lawyer track is an interesting idea. Can you tell us how it was developed? Joe: The track was developed initially in response to inquiries from some of our lawyer members who sought presentations geared toward lawyers. In addition, because many of our members are transitioning into Compliance from the Legal department, or have legal roles in their organizations’ compliance programs, we thought it would be helpful to develop a lawyer track for the CEI. Adam: So, are the sessions best just for lawyers? Will non-lawyers find them of value? Rebecca: While we have created the track to be of specific interest to lawyers, many of the sessions will include information that is useful to non-lawyers as well. Because the fields of Legal and Compliance are so closely-related, many topics are of interest and relevance to both fields. Donna: Interestingly, the CEI has included a pre-session about lawyers in compliance programs for a few years, and, when conducting that session, we discovered that there are quite a few non-lawyers who were interested in understanding more about the lawyer’s role and perspective.